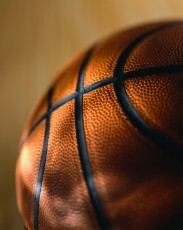 Even though March is almost over, March Madness is in full swing. The Sweet 16 is set, and there has been no shortage of drama and great basketball games with tremendous finishes. 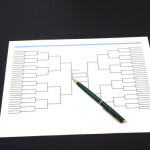 The NCAA Tournament is a great way to catch some stellar basketball and root for your favorite team or those you picked to advance in your bracket. Between the men’s NCAA tournament, the men’s NIT and the women’s NCAA tournament, there is plenty of basketball on TV – perfect for long biking, treadmill or elliptical sessions. Endless research suggests the many benefits of exercise. Exercise can be a huge de-stressor. It releases endorphins, or “feel good” hormones, throughout the body. Over time, your blood pressure can be reduced with regular exercise, as your heart becomes a more efficient and stronger muscle. The list of benefits goes on and on, and it should be no surprise how much exercise will help your body. Many people know, or are at least familiar with, some of the great benefits, but the work involved causes unnecessary fear or angst. If March Madness, “work madness” or madness at home is causing your blood pressure to rise and adding extra stress in your life, unwind with a great workout. 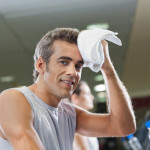 Head to the gym while one of the basketball games is on and get on the bike, treadmill or elliptical. Lose yourself in the game and really shoot for a good long cardio session. Push yourself a little to get your heart rate up, but keep it in a safe range. The more work you can get in your target heart rate zone, the more benefit you will achieve. For instance, the body will start using excess (stored) fat as it’s main fuel source after 12-14 mins of cardio work in your target heart rate zone. For most people, this will be the 75% range. If you can focus your workouts to remain in your target heart rate zone, your will see results quicker, and hopefully some of the fear or trepidation about exercise can be eliminated – but hopefully your team won’t be eliminated from the bracket! Here’s to letting your workout lower your March Madness blood pressure.